What's more fun than snowballs? 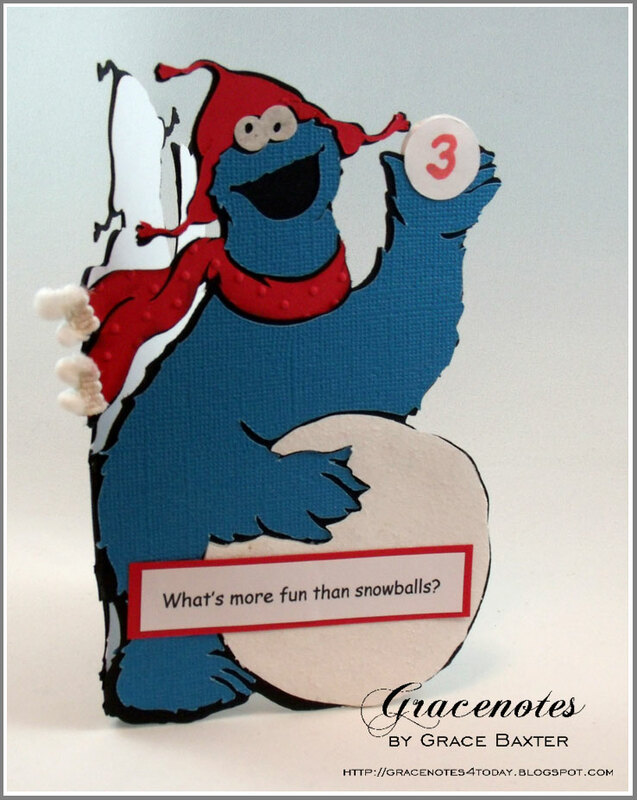 This card is for my little grandson who will be turning 3. He loves the Muppets, almost as much as his Daddy did. 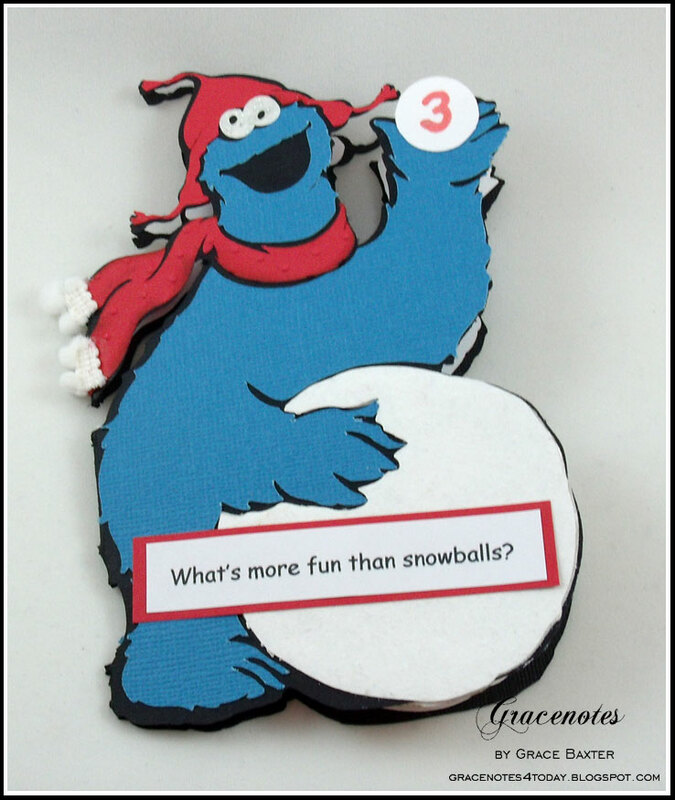 And of course, Cookie Monster has always been a favourite. This shape card is 5-1/2 inches high. 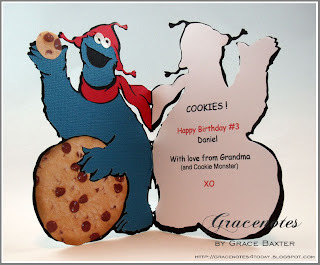 The image in the handbook shows Cookie with his hand up, waving. When I saw that, I knew he needed to be holding another snowball. But the best part is the inside! The card opens to show the flip side of Cookie, with his favourite snack... cookies! The directions are rather long for this card. If you have any questions about how I made it, feel free to leave me a comment. It took a lot longer than it should have. But now that I've figured everything out, I'll know better how to pull one together fairly quickly. P.S. Notice the snowball trim on Cookie's scarf? Had to! THAT a GREAT card!!! VERY CLEVER!!!!!! !